HUDSON, NY -- Hudson Police say they received a call saying an elderly woman was found “frozen to death” inside a car along City Hall Place, CBS affiliate WRGB reports. An HPD Sergeant broke the rear passenger window and opened the door to discover it was an extremely realistic life-sized mannequin. 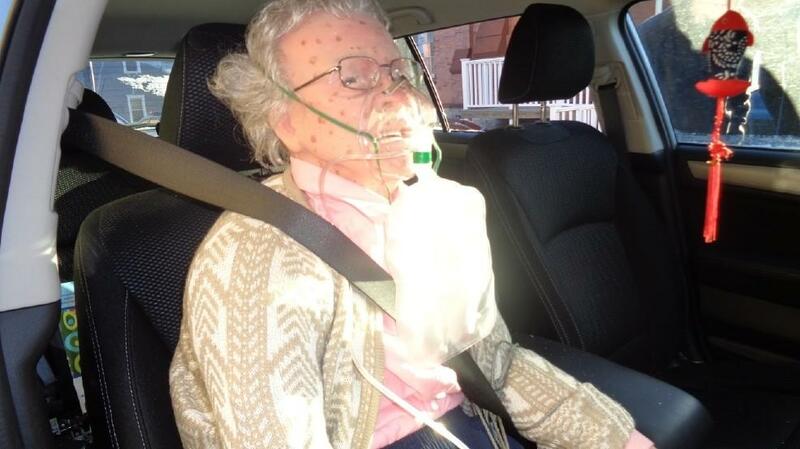 The elderly woman model appears to be a CPR training device, that is extremely detailed to include actual clothing, glasses, teeth, shoes, skin blemishes, etc. The owner of the mannequin stated that he transports the device in his car in that manner, to include the wearing of a seat belt. “It is my understanding that the owner was incredulous that we took action in this matter. He apparently was quite vocal and vulgar to my Sergeant. Just to clear the record, all citizens of Hudson should be put on notice that if you park your locked vehicle on the street on a sub-zero night with a life size realistic mannequin seated in it…we will break your window. I commend everyone who responded with the intentions to help an elderly woman,” said Chief Edward Moore.